Other things that I miss from Seoul are their streets and some of the amazing places that I went. I’ve mentioned this place like a hundred times. Every time I go to Seoul I always visit this place. 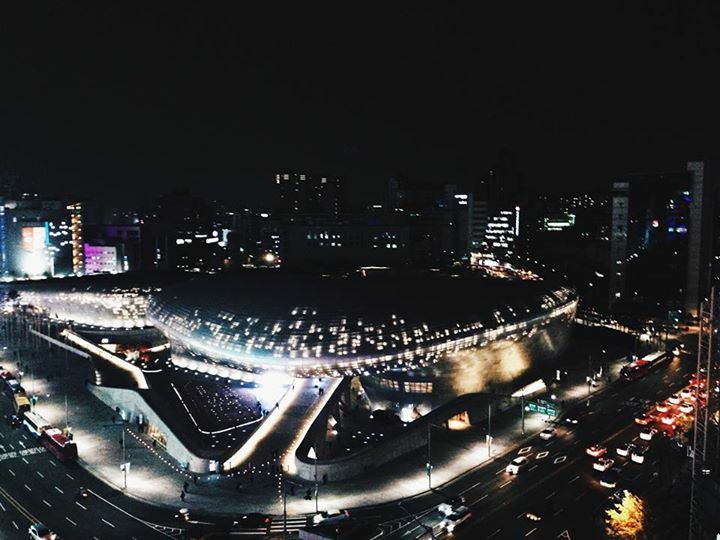 So I won’t write much about myeongdong, because you can read everything about this place from my previous posts. Well it’s the same as myeongdong, Hongdae is one of the places that I always visit every time I come to Seoul. The place was quite happening with a lot of indie art and unique handmade items being sold at individual stalls. 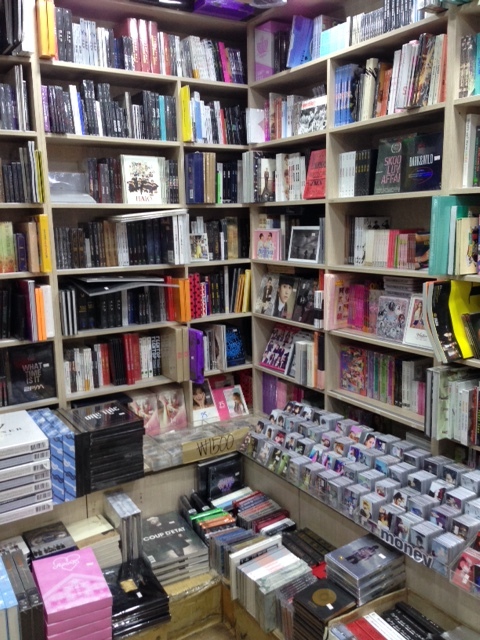 However, in this post I’m going to tell you a little bit more details about Hongdae and what to do while you’re there. I already wrote some of it in my previous posts, so now I’m just gonna write about the new places that I visited. 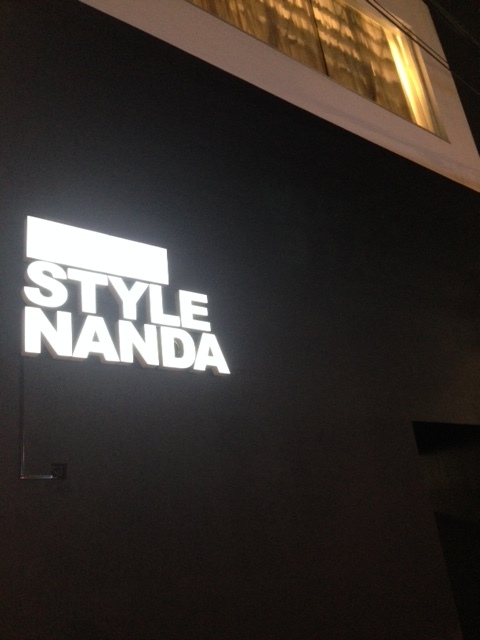 Style nanda is a korean brand that is not just popular in south korea, but also in overseas. You can check their instagram @stylenanda_korea. Their style is very unique and fashion forward. They are famous for their make up line called the “3 Concept Eyes” or 3CE. So we visited their flagship store in Hongdae. It was huge. You can’t take any pictures of the store tho, photography is not allowed. However, inside the store there’s a photobooth and you can take pictures there for free. 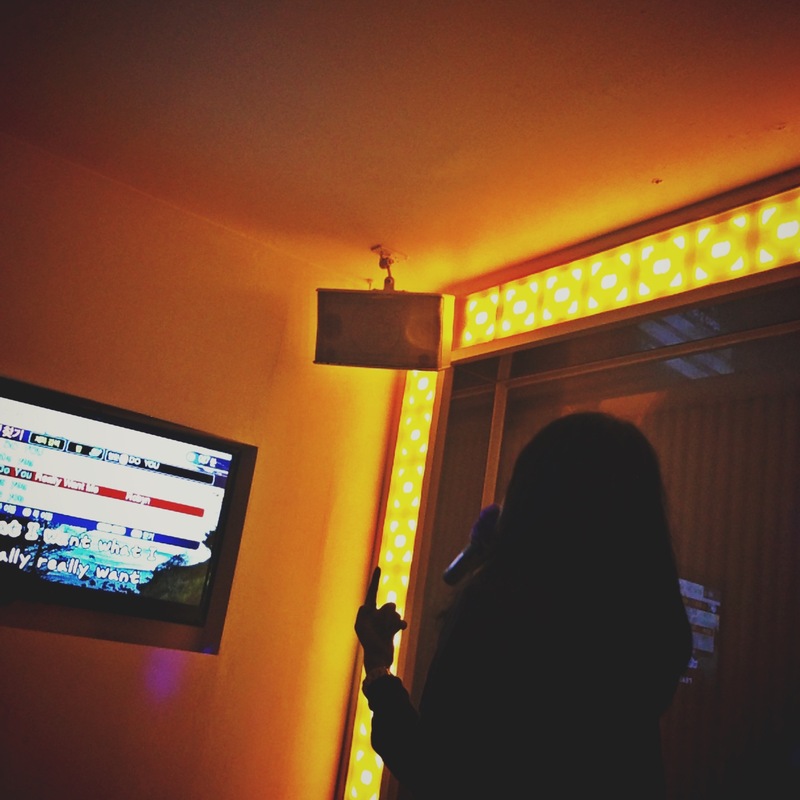 Luxury karaoke or Su norebang is a famous karaoke place in Hongdae. From outside the building, you can see people singing and dancing inside the room. We we’re attracted by their advertisement that said “2.000 won/person for one hour”. Which is a total lie. We ended up paying around 5.000 won/ person for one hour because the room costs 25.000 won/ hour. We thought that the room will be fun and cute just like what it looks like from the outside, but when we entered our room it was just an empty room with white walls, 1 big sofa and 2 small chairs, a mini stage with lights, and 1 medium sized tv. Which I think looks like a room in the basement. Not satisfied at all. So maybe if you’re planning to go to this “norebang”,you can request which room you want first. We went on a saturday night, so the place was a bit busy. Try visiting on weekdays. Probably one of the worst club I’ve ever been to. hahaha. well its mainly because I hate trance music. After our night out from the karaoke, we saw this club right in front, the line was a bit long, and there’s a sign saying “free flow tequila for ladies”, entrance was only 10.000 WON, around $7. 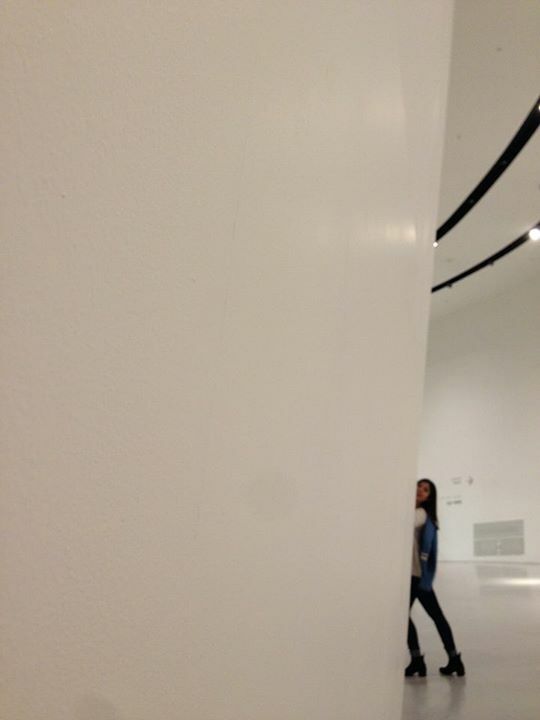 So my friends was like “LETS LINE UP” hahaha. It’s true that the tequila is free flow, but the club is rather small, so it’s very tight, and they’re playing trance ALL NIGHT! some of my friends were enjoying it, so if you don’t mind listening to trance music all night, this place is really not that bad. This is the famous club that rumored to be owned by YG or one of the YG’s artists. 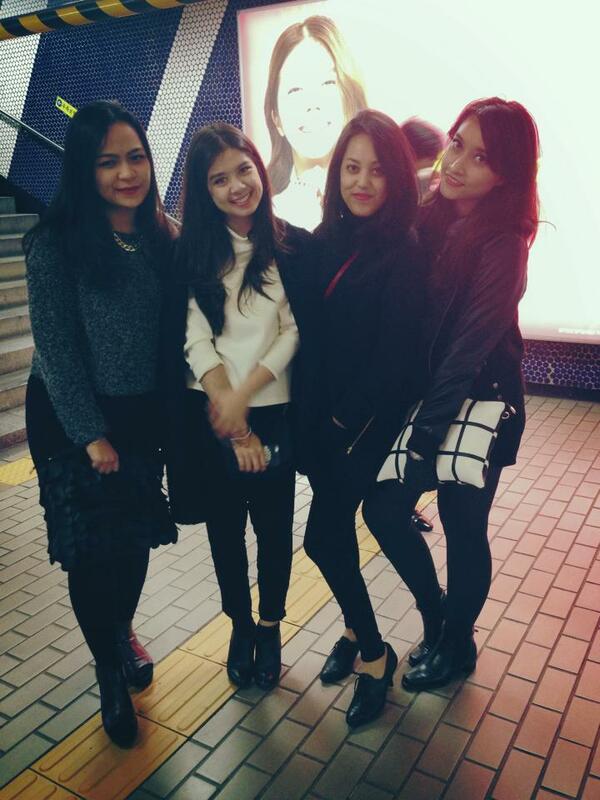 We went on a friday night, because people said that friday night means “club day” in Seoul hahaha. So we are kinda curious and just want to know how the club looks like. We arrived at 12am and there was a long line outside. 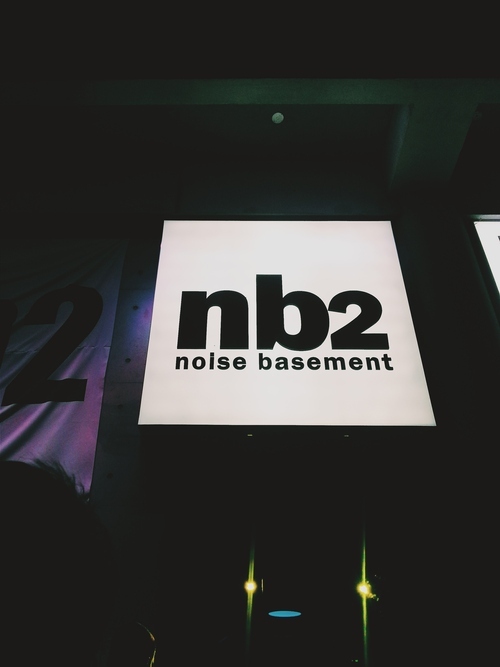 There are 2 NBs, there’s NB1 and NB2. People were all lining up to get to NB2, so we also lined up there. The entrace fee was 15.000 won or $15 include 1st drink. Eventho it was a hip hop club but they’re also playing RnB and electro tracks. The best thing about our night is when the DJ was playing some of the YG artist’s songs such as taeyang, epik high and g-dragon. Epic moment for me. hahaha. But still 97% of the songs were american songs. The club opened until 6am. but beware of the drunk korean guys in a club, they are just annoying and flirty. Twosome Coffee+Studio is a cafe franchise by Teddy Park, the main producer of YG entertainment. Different with other Twosome Place in Seoul, the design of the one in Hongdae is all black and kinda had a hip hop vibe. Both Big Bang and 2NE1 had been here before to support Teddy. You can not only enjoy the delicious dessert and coffee, and also enjoy the environment that’s so YG. Unfortunately I forgot the name of the restaurant. But you can find this restaurant not very far from taco bell. You should order the octopus and noodle menu! whoaaa!!! seriuosly, it tasted amazing! A-land is the korean urban outfitters. It is a popular select shop that introduces new designers’ brands. The shop has clothes, fashion accessories, and stationery items and offers a wide range of styles. Presents a variety of fashion cultures to people as a multi-brand store with new fashion designers. My favorite street!!! It was my first visit and I loved it. Garosugil is a little area within Sinsa-dong in Gangnam-gu, Seoul. The street is very classy and is quiet similar to some of the streets in L.A. 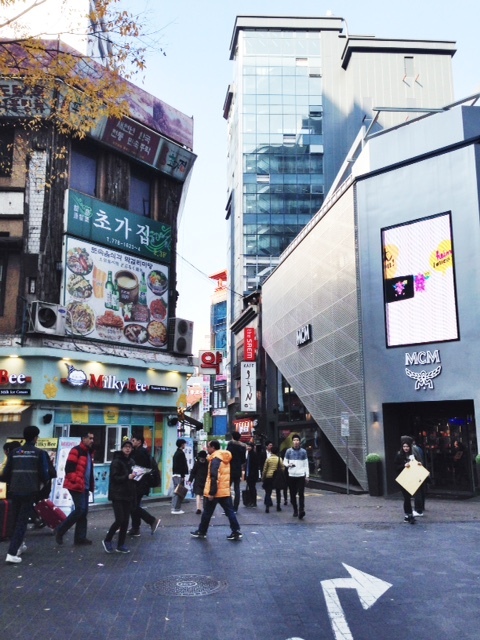 This street is popular with tourists and Koreans because of its various themed cafes and western restaurants. It is also a very trendy area where celebrities are seen shopping and hanging out. Whether you’re by yourself, with a small group of friends, or a date, I highly recommend Garosu-gil in Gangnam. Save some money and an afternoon to walk down this beautiful street, I promise you won’t regret it! 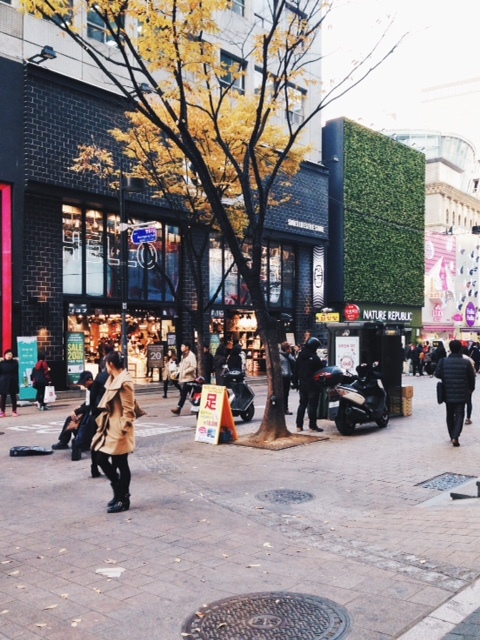 Apgujeong is one of the most popular areas in Seoul for shopping and hanging out. Stores here carry everything from luxury brands to discounted items. There are also a lot of established dermatology and plastic surgery clinics, and numerous hair salons. Rodeo Street has many cafes that make for great vantage points to watch the stream of stylish passerbys. Celebrity sightings are not uncommon. The first time I went to this street, I met WINNER (YG’s newest group), they were crossing the street and was heading to a salon nearby. And also the second time I went there, at the same salon, I saw one of the wonder girls members. I guess celebrities go to that salon quiet often. For all the k-pop lovers! this place is a must visit! I am a huge big bang fan I was so happy when I watch their (hologram) concert. Eventho it’s only a hologram concert, but it’s still a good experience. And also they’re selling lots of YG merchandise there. Klive will be open from 2 pm to 11 pm., and is closed every Monday. It costs around 27.000 won / $27 for tourists. However, if you’re planning to go to Everland. 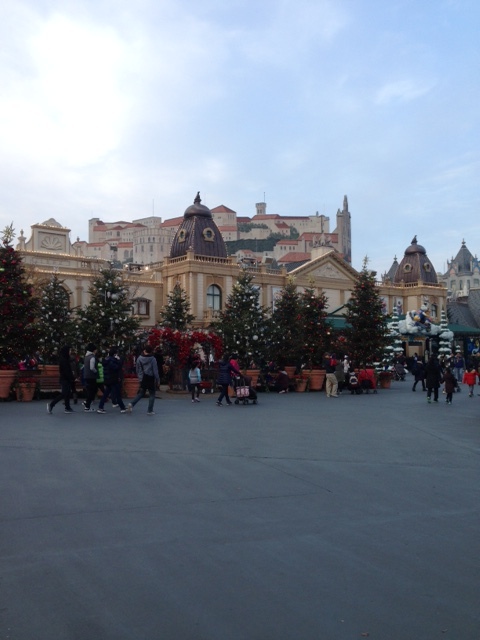 you can get a free show inside Everland. Everland is the largest theme park in Korea, and it also includes a water park and a zoo for patrons to enjoy. One of the things I definitely wanted to see was Koshik, the talking elephant, a huge thing on my to-do list. 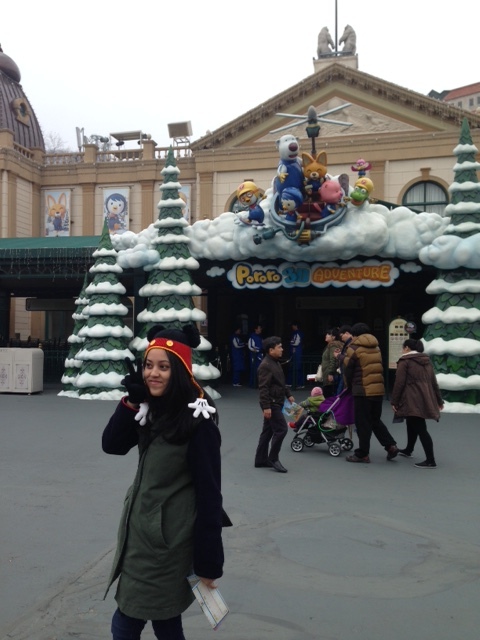 Since Everland is a theme park, I was looking forward to riding some of the rides. I can’t say I was excited exactly, mostly because they scare me pretty well. My friends rode the T-Express train, but I am not riding that thing. hahaha. The T-Express is South Korea’s first and longest wooden roller coaster. The T-Express is the 6th longest wooden coaster in the world at 1,779 mlong. It is also the steepest, with the first drop inclined at 77 degrees. The drop is 57 meters ranking in at 7th in the world. It is also the fastest coaster in Asia at 200 kilometers per hour, making it the worlds 8th fastest. I ride the other roller coaster instead, the one that appeared in Running man, It is called the Rolling-X Train. It’s a super-fast roller coaster with two 360° loops and two corkscrews, perfect for anyone who loves a good and enjoyable roller coaster ride. ‘Let’s Twist’ is also an exciting ride that people who love a thrilling experience will enjoy because it is turning in all different directions. We also went to their zoo. I found myself unexpectedly happy going through their small zoo. I saw Koshik the talking elephant there and also “samba” the lion that appeared on Running Man episode 141. 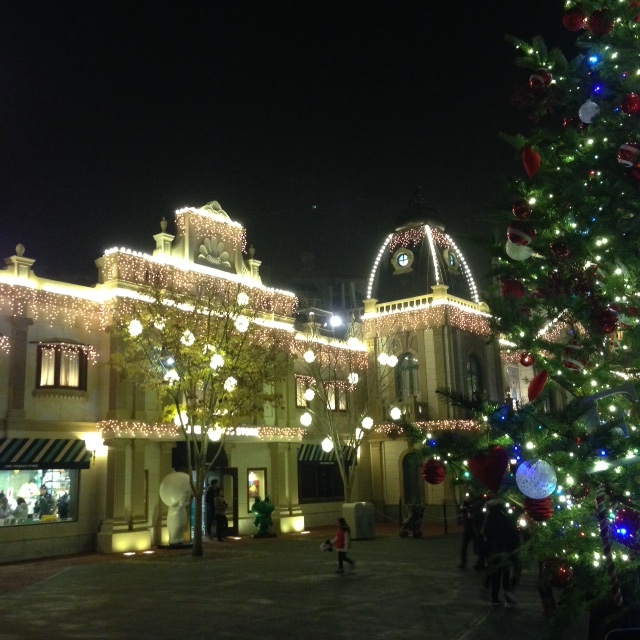 The decoration in Everland was beautiful, it feels like christmas already. Well I think that’s all. If there’s anything you wanna know more about you can just drop me a message. Hi Lala, thank you for sharing your journey and experience. I have been wanting to travel like you, but i have not got that much time nor the money to travel the world. Having said that, i am thinking about travelling around Indonesia at first. Perhaps you can share a tips and tricks to do the backpacking travel? Have you ever done backpacking with limited budget? How was the experience compared to traveling abroad (which obviously require much more money and time) ? ooh I’ve never read any other traveling blog other than yours. Its good to know that there are people like you who likes to share experiences and information so that others can go travel too. I am an employee now, and only entitled to 12 off-days a year. I am obliged to be available 24/7 if the work calls via email or cell phone. How would you suggest me to go travel abroad? is there a “best time” to go for an employee like me? Having said that, if i may ask, are you working as an employee as well now? If so, maybe you can also share the tips & tricks to go traveling at the best time with our limited off-days. I notice that traveling would be easier to do for an entrepreneur or a freelancer who does not required to be working 9-to-5 everyday e.g. actress or reporter/journalist. Thank you so much ! glad i can help 😀 I am also an employee and only get 12 off-days a year. We’re lucky there’s a lot of holiday this year tho. you can check this link http://travel.detik.com/read/2015/01/08/075019/2797128/1382/otak-atik-tanggal-cuti-2015-demi-bisa-liburan. Btw mau tanya dong, kata kamu di sana wifi dimana2. Cuman aku bingung, bisa langsung connect ke gadget kita, atau harus pake portable wifi yah? Dan satu lagi, cara penggunaan bus disana gimana yah? Halo. ada beberapa tmpt di central area free wifi, kita bisa langsung connect. tapi emg kalo mau lebih praktis bisa sewa portable wifi aja sih. nah kalo bus aku cuma pernah naik sekali, sebenernya sih enakan naik bus karna bisa sekalian sight seeing. tapi buat aku mrt lebih mudah sih. tapi kalo mau naik bus bisa byk2 browsing dan download apps yang ngasih tau ttg bus station. haloo, pernaah, musim gugur di korea udah dingin bgt sih buat aku lol, aku waktu itu salah bawa baju, makesure km bawa baju anget dan coat yaa. sepatu dan tas sih cari yang ternyaman aja. Hi La.. ada rencana ke Seoul lagi kah dalam waktu dekat? mau nanya juga udh pernah nyobain jimjilbang dan main ski disana? soalnya ada yg bilang utk jimjilbang itu harus full naked.. huhu.. kalo pernah, mau share-nya yaah.. makasiiii.. aku ada rencana Maret pertengahan ke sana lagi, dan plannya mau nyobain 2 hal itu..